"My name is Anum Kazmi, I am a fourth year Bioengineering major, and I transferred from Riverside Community College in fall 2017. 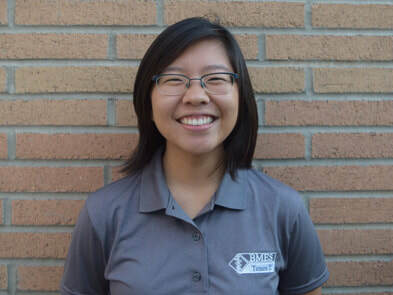 Along with being a transfer student, I am also a peer mentor for the Transfer Transition Program and the professional development chair of the Biomedical Engineering Society. As professional development char, I organize and host meetings for students to connect with bioengineering companies and gain insight on the industry and graduate school to help in deciding their career path. I have also completed a summer internship at Applied Medical where I have gained experience in working within the Strategic Research and Development Department and completed multiple projects which were assigned to me. In the future, I aspire to graduate with a bachelors degree in bioengineering and join and make an impact in the medical device industry." ​​"I’m Hannah, a 4th year and this year’s secretary. You’ll find me at our BMES meetings and events taking notes and archiving their progress. I like to hike and play basketball and I’m really into gaming (Overwatch [diamond] and Monster Hunter). Feel free to contact me for any questions or info about BMES or our events!" ​"Hi! 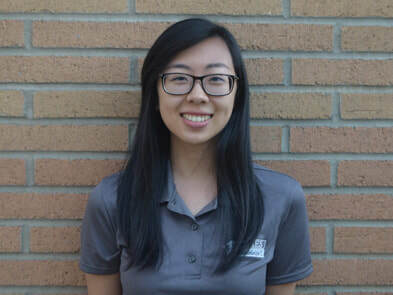 My name is Tammi and I am a third year bioengineering major! In addition to BMES I am currently doing research in two research labs, one regarding marine biology and artificial insemination and the other regarding neurocomputational analysis and neuroimaging. In my free time I love to play music, watch movies, and travel! Do stop by for a chat if you ever see me on campus!" "Hi! 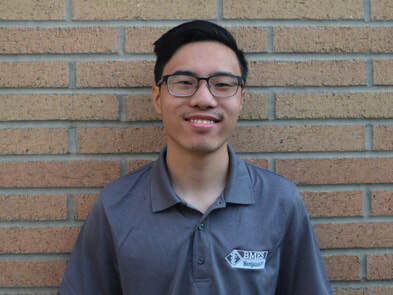 I'm Benjamin, a 3rd year bioengineering major and this year's External Outreach Chair! I'm primarily involved in organizing and planning outreach events and visiting local schools to show students what Bioengineering is all about. In my free time, I like to hike, play music, eat, watch movies, and travel! If you see me around campus, feel free to say hi and stop to chat with me!" "Hello! My name is Maggie, and I'm a third year bioengineer! I work on this website, the emails, and social media for BMES! I'm also involved in the Tau Beta Pi engineering honor society on campus, as well as a research lab studying the tissue aging process. I enjoy all kinds of subjects, so I love the interdisciplinary aspect of bioengineering. Outside of academics, I love food, art, and cats! Feel free to say hi and chat with me if you ever see me around campus."